Media players: who needs another one right? Well, it comes down to choice. A box of chocolates (oh dear here I go with analogies…) would be boring if each individual sweet tasted the same as the next. And that’s sort of the case with desktop applications: you need to try a few rubbish ones before you hit upon the one you really like. And that’s where todays choice – UMPlayer – comes in. 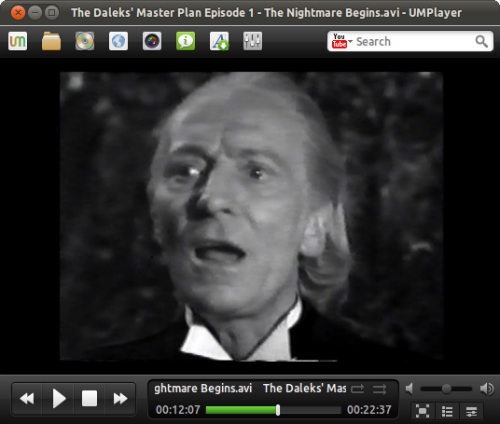 UMplayer – Universal Multimedia Player – is a cross-platform fork of popular Qt media player SMPlayer, which, in turn, is based on MPlayer. Despite the complicated linage UMPlayer is much, much more than a rebranded, repackaged ‘app clone’: UMPlayer comes with jam-packed with neat features and tools. 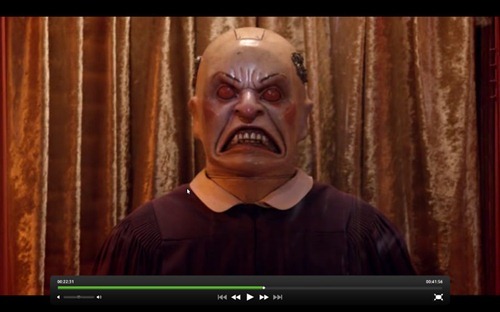 One of the ‘unique’ features present in UMPlayer is the ability to search, play and ‘record’ (download) YouTube videos. The search box is present in the main screen at all times, whilst search results present themselves in a small popup window. You are able to set the default playback quality for YouTube video – from 360p to full 1080p – as well as choosing the quality and file format for downloaded videos via the ‘preferences’ menu. I generally like my desktop applications to “match” my system theme but UMPlayer doesn’t do this. For the full bling-factor enable the ‘Animation’ setting in UMPLayer via ‘Preferences > Interface > Floating Control’. 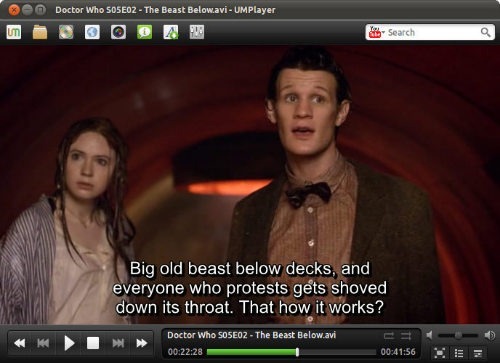 As someone who relies on subtitles when watching a lot of non-English language TV shows and movies, I really appreciate the built-in subtitles search n’ downloader. Subtitles font, size and colour are also configurable via the ‘Preferences’ dialog. Options for subtitle delay – useful for when things go out of sync – can be accessed via the ‘Subtitles’ menu in the application menu bar. UMPlayer comes, by default, with over 270 built-in audio and video codecs so it should be able to play most formats that you chuck at it, including standard formats such as AVI, DIVX, FLV and MOV, as well as Matroska, WMV, RealMedia, AAC and more. For a full list of what UMPlayer can do head to umplayer.com/features/misc. Like a lot of media players available on Linux – barring VLC – UMplayer lacks comprehensive DVD menu navigation support. Sometimes it works, sometimes it doesn’t. 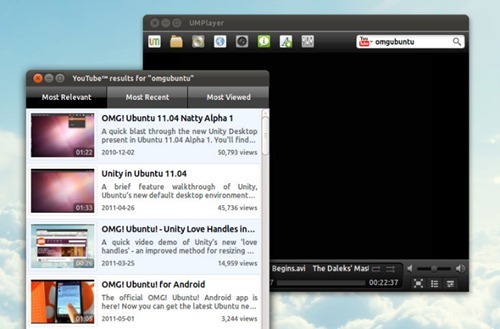 Similarly, unlike the Windows and OS X versions, the Linux build of UMPlayer also lacks CPU optimisation. Unless you’re on a netbook or severely hardware limited computer chances are this won’t affect you too much – but it would still be a nice ‘have’. 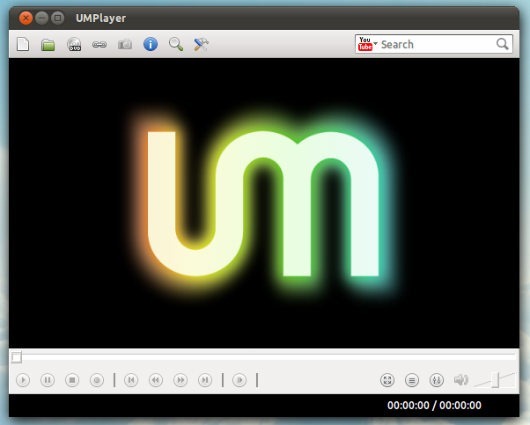 UMPlayer 0.95 is available to install from the Ubuntu Software Centre, no PPA needed. Hit the button below to begin installation.